Steam Crow | "I'm Not The Artist"
Daniel (the artist and creator) and Dawna Davis (the aider/abetter/spouse-unit) of Steam Crow. Daniel and Dawna Davis are a super-powered couple based out of Phoenix. 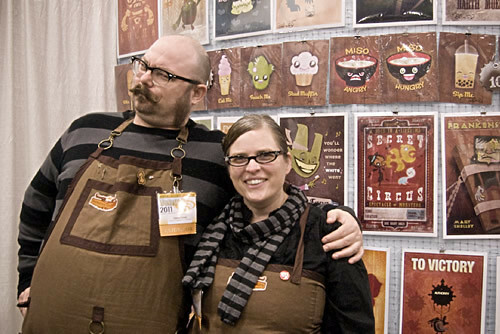 In the 12 years they’ve been married, 6 years of it has been devoted to promoting Steam Crow (one of the many ventures they work on), either on the comic-convention circuit or local events around Arizona. While Daniel is the main artist for Steam Crow, Dawna is an artist herself and offers a lot of support, both artistically and in the backend of their monstrous operation.